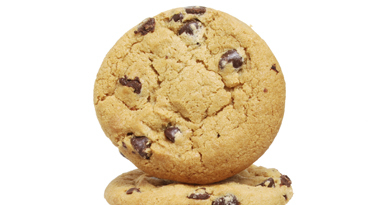 Replacing Eggs in Cookies – Natural Products, Inc.
You can use BLUE100 Whole Egg Replacer in almost any kind of cookie. In fact, this just might be the best application of all. Some of our happiest customers are cookie manufacturers. This is because it is so simple to incorporate BLUE100 Whole Egg Replacer into cookie dough formulations. Generally, replacement of eggs can be 100%, so the potential for savings is maximized. In addition to saving money, cookie makers gain additional benefits from using this ingredient. BLUE100 is a dry powder, so it is much easier to handle than liquid eggs. For bakeries making frozen cookie dough, BLUE100 eliminates the concern of consumers eating raw eggs. Finally, there is no cholesterol in BLUE100, so the nutritional properties of the cookies are improved. Call today for free samples of BLUE100, and see how quickly you can reap the benefits!